Harry Frampton was inducted into the International Ski Hall of Fame on Friday, Jan. 6 (Vail Valley Foundation photo). 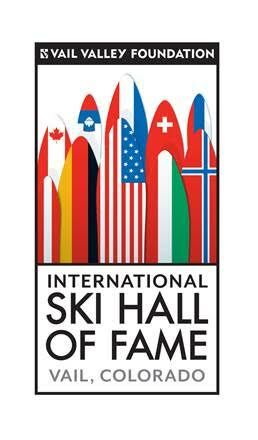 Since 1984, the International Ski Hall of Fame has celebrated the icons of ski racing, including Stein Eriksen, Marc Girardelli, Andrea Mead Lawrence, Franz Klammer and Tamara McKinney. Today, the Vail Valley Foundation revealed the new, permanent home to this institution at “The Edge” statue at Mountain Plaza in Vail, Colorado. It also welcomed its newest inductee, Harry Frampton. Around the world in early January, ski racing fans celebrated 50 years of FIS Ski World Cup. As part of that celebration, the Vail Valley Foundation, together with Vail Resorts and the Town of Vail, today hosted the International Ski Hall of Fame 2016 induction ceremony at Mountain Plaza at the base of the same ski runs which hosted one of the first-ever World Cups in 1967. In the past, International Ski Hall of Fame inductees were honored during the Vail Valley Foundation’s American Ski Classic. With that event now retired, the Vail Valley Foundation, Vail Resorts and the Town of Vail unveiled The Edge statue as the Hall’s permanent new home. Created by artist Gail Folwell, The Edge captures the velocity and motion of ski racing in a dynamic and engaging bronze statue at the base of Vail Mountain. A plaque on the side of the statue now commemorates the 33 inductees into the Hall. Frampton first came to the Rockies from South Carolina in the early 1980s as President of Vail Associates, specializing in community and real estate development. He immediately showed vision, leadership, and understanding of the Vail Valley’s long-standing ski racing heritage, which dated back Vail’s earliest days. In his role at Vail Associates, and also in his role as Chairman of the Board of the Vail Valley Foundation, Frampton encouraged the community to go big, and think even bigger, in terms of what the community could do to host major international ski racing events. In the mid-1980s, Vail had the opportunity to bid for the 1987 Alpine World Ski Championships. Frampton immediately encouraged the pursuit of this event despite concerns that the remaining 30 days until deadline would not be enough to prepare a proper proposal. 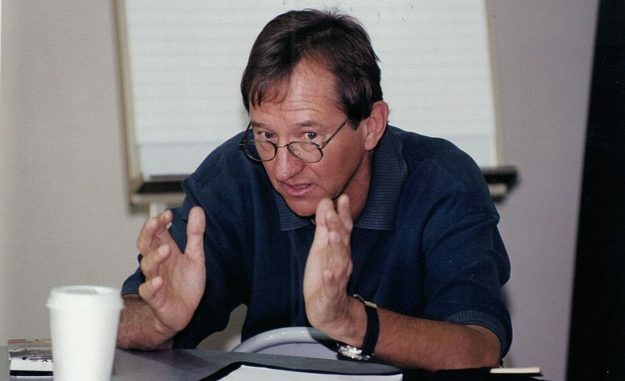 Although the bid was unsuccessful, its exuberance and creativity won over the FIS congress and set the stage for a successful bid for the 1989 World Alpine Ski Championships. In the mid-90s, Vail/Beaver Creek once again sought the Alpine World Ski Championships, but the Valley lacked a compelling downhill course. To win the bid, Frampton greenlighted the creation of the now-legendary Birds of Prey course in Beaver Creek. Designed by 2005 International Ski Hall of Fame inductee Bernhard Russi, the course not only helped win the bid, it also became one of the premier courses on the World Cup tour, and now hosts the legendary Birds of Prey World Cup race week each year in early December. In 2015, Vail/Beaver Creek once again hosted the Alpine World Ski Championships, and once again Frampton left his indelible mark on the event. A distinctly American event, the event redefined what it means to host a Championship-level ski racing event, with hundreds of millions of viewers worldwide, more than 220,000 spectators, and more than 2,200 volunteers taking part. For more information about the International Ski Hall of Fame visit vvf.org.